Business | KAMIOL Co., Ltd.
KAMIOL CO., LTD is a trading company of paper. We are dealing with products of many paper manufacturers. Head office is located in Nagaoka City, Niigata. We have branch offices in Tokyo, Osaka and Niigata. Our customers are spread all over the country, from Hokkaido to Okinawa. We can provide environmental-friendly paper. If you are interested in it, please contact us. We provide variaty of paper related product such as reguler paper, paperboard, information paper, cardboard, envelopes, toilet paper and tissue paper and so on. We have delivery service as well. We deals with a lot of printing paper products, including woodfree paper, colored woodfree paper, coated paper, lightweight-coated paper, art paper and so on. We deal with a lot of paperboard products, including manila board, duplex board, straw board, chip board, color board and so on. We deal with a lot of kraft paper, for example shopping bag, book cover and other everyday items in daily life. We deal with various forms of the envelope. We deal with toilet paper ,tissue and other everyday items in daily life. 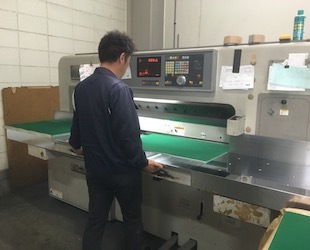 We have two cutting machines each in Nagaoka Head office and Niigata Branch. We are our own delivery in Niigata. 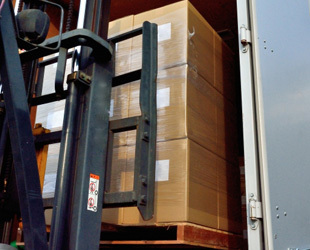 In other area, we can provide direct delivery from the manufacturer. We are also working on the Web business. We are managing E-Commerce site, KAMIOL SHOP.